Cleveland wedges have the potential to make a tremendous impact on your game. They can also make a great impact on your clients or customers at a corporate event. We have the capability to etch your logo onto our RTX-3 wedges, or even go a step further and engrave a full colour logo. Both of which are fully durable and will look absolutely flawless. Just fancy a bit of customisation but don’t have your own logo? We do personalised wedges too! Have a creative idea for your own wedge design? We can do almost anything! We can even incorporate a snapshot onto the back of our wedges which look great alongside a logo! 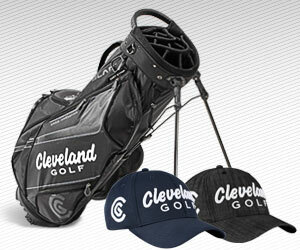 If you are a consumer, you will need to order your logo product through your local Cleveland Golf Stockist. - Artwork needs to be high resolution with a minimum of 600dpi at 50mm wide but preferably a vector file or Jpeg.